The competition will be adjudicated by a five member panel comprising international architectural design and research expertise as well as members of the AMQF. Jury members will be required to declare that they have not seen or had involvement with any of the submitted projects prior to the deliberation day. 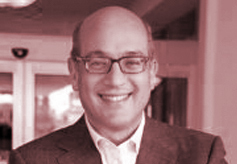 Omar Al-Qattan is a Trustee of the A.M. Qattan Foundation. Al-Qattan was born in Beirut in 1964 and moved to the UK at the outbreak of the Lebanese Civil War in 1975, where he continued his schooling and studied English at Oxford University. Following his degree, he went to study film directing and production at the Institut National Supérieur des Arts du Spectacles (INSAS) in Brussels. His film career began with a documentary, Dreams & Silence, one of the first films to explore political Islam and which won the Joris Ivens Award in 1991. In 1994/5, he produced Tale of the Three Jewels, the first ever feature to be shot entirely in the Occupied Gaza Strip. The film premiered at Cannes and won a host of international awards. During this time he founded his own film company in the UK, Sindibad Films (1993). He has since gone on to work on over 10 films, the most recent of which was Zindeeq (2009), a full-length feature film on which he was Executive Producer alongside Director Michel Khleifi. The film won the Muhr Award for Best Arab Feature, the highest prize at the 2009 Dubai Film Festival. 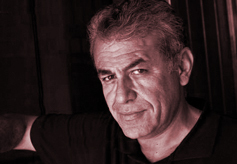 In addition to his film career, Al-Qattan has worked on a number of cultural projects, particularly as a board member of the A.M. Qattan Foundation. This charitable foundation was set up by his family in 1998, and has become Palestine’s leading independent cultural institution, and a pioneer in the region. Among its many other projects focused on educational and cultural development for children and young people, he launched and directed the Foundation’s Culture and Science Programme from 1999 to 2004, then designed and launched its Palestinian Audio-visual Programme, a EU640,000 investment program me in film and television. The Foundation also runs a children’s library and cultural centre in Gaza City and a centre for educational research and development focused on school teachers. In late 2008, he oversaw the establishment of The Mosaic Rooms in London, an independent arts space which delivers a high quality, contemporary and progressive cultural program me from the Arab World and internationally. In addition, Al-Qattan is a non-executive director of Al-Hani Construction and Trading Company in Kuwait, a regional leader in the construction of large-scale public projects such as the recently completed Kuwait National Library. He is also a Board member of the Welfare Association, Palestine’s leading independent NGO, and a member of its Palestinian Museum Committee. سيتم البتّ في المسابقة من قبل لجنة تحكيم مؤلفة من خمسة أعضاء تتضمن خبرات في التصميم والبحث المعماري، إضافة الى أعضاء من مؤسسة عبد المحسن القطان. ويجب على أعضاء لجنة التحكيم التأكيد أنه لم يسبق لهم الاطلاع أو التدخّل في أي من المشاريع المقدّمة قبل يوم التداول. أمين سر مجلس الأمناء، في مؤسسة عبد المحسن القطان، لندن. عمر القطان هو القيّم على مؤسسة عبد المحسن القطان. ولد في بيروت في العام 1964، وانتقل إلى المملكة المتحدة عند اندلاع الحرب الأهلية اللبنانية في العام 1975. واصل تعليمه هناك ودرس اللغة الإنجليزية في جامعة أكسفورد، ثم قرّر التخصّص في الإخراج السينمائي والإنتاج في معهد Institut National Supérieur des Arts du Spectacles (INSAS) في بروكسل. بدأ القطان مسيرته المهنية بإنتاج فيلم وثائقي تحت عنوان "الأحلام والصمت"، الحائز على جائزة جوريس ايفنز في العام 1991، وهو أحد الأفلام التي تسلّط الضوء على السياسة في الدين الإسلامي. بالإضافة إلى ذلك، أنتج "حكاية الجواهر الثلاث" في العام 1994-1995، كأول فيلم مصور بالكامل في قطاع غزة المحتل. وشارك الفيلم في مهرجان كان السينمائي وحصل على مجموعة من الجوائز الدولية. كما أسس القطّان شركة إنتاج خاصة به العام 1993 في المملكة المتحدة تحمل اسم سندباد للأفلام ""Sindibad Films، وعمل منذئذ على أكثر من عشرة أفلام كان آخرها فيلم "زنديق" العام 2009، وهو فيلم روائي طويل كان القطان منتجه المنفذ مع المخرج ميشيل خليفي. حاز الفيلم على جائزة المهر لأفضل فيلم روائي عربي في مهرجان دبي السينمائي الدولي. بالإضافة إلى السينما، عمل القطان على عدد من المشاريع الثقافية أبرزها عمله كعضو في مجلس أمناء مؤسسة عبد المحسن القطان التي أنشأتها عائلته كمؤسسة خيرية العام 1993، لتصبح مؤسسة ثقافية مستقلة ورائدة في فلسطين والمنطقة. بالإضافة إلى مشاريع المؤسسة التي تركز على التنمية التربوية والثقافية للأطفال والشباب، أطلق القطان وأدار برنامج الثقافة والعلوم في الفترة ما بين 1999 حتى 2004، ثم صمّم وأطلق البرنامج الفلسطيني للمرئي والمسموع بقيمة 640.000 يورو في مجال السينما والتلفزيون. في أواخر العام 2008، أشرف على إنشاء قاعات الموزاييك في لندن، وهي مساحة مستقلة للفنون التي تعكس جودة عالية ونفحة معاصرة مقتبسة عن العالم العربي والدولي. وهي مساحة فنية مستقلة لعرض الفنون وتقدم برنامجاً عالي الجودة عن الثقافة المعاصرة المنبثقة عن العالم العربي أو تلك المتعلقة به. من جهة أخرى، يتولّى القطان منصب مدير غير تنفيذي لشركة الهاني للإنشاءات والتجارة في الكويت، وهي شركة إقليمية رائدة في بناء المشاريع العامة واسعة النطاق على غرار مشروع مكتبة الكويت الوطنية الذي أنجز مؤخراً. وهو أيضاً عضو مجلس إدارة مؤسسة التعاون، المؤسسة الفلسطينية غير الحكومية والمستقلة الرائدة، وعضو في لجنة المتحف الفلسطيني. كتب القطان في منشورات عدّة باللغتين الإنجليزية والعربية منها "New Statesman"، "Vertigo"، "Open Democracy"، "CounterPunch" و"الحياة" و"القدس العربي". كما شارك في تحرير منشورات عدة باللغتين، منها "آفاق جديدة في الفن الفلسطيني"، إضافة إلى "الأمل واللحظة الجمالية"، إلى جانب كتالوجين أصدرتهما مؤسسة عبد المحسن القطان عن أعمال فنانين فلسطينيين شباب. كما ساهم القطان في كتابة فصول في كتابي: أحلام أمة (في السينما الفلسطينية) والنكبة: فلسطين، 1948 ومطالبات من الذاكرة. After thirteen years in the private sector in the US and Palestine as a project and consultant engineer, and in academia at Birzeit University, Khalaf focused on socio-economic development in Palestine through research as well as through work in the two leading Palestinian developmental organisations. He directed the human resources development program me at the Welfare Association for four years, and in 1998 led the launching of the A.M. Qattan Foundation, which has since become one of the major non-governmental organisations working in education, culture and the arts in Palestine and the region. Khalaf co-founded and has been active in a number of local and regional institutions including the Technical Development Corporation (later to merge into the Palestine Development Fund); Ramallah Municipal Council; Al-Haq Society; and the Arab Foundations Forum. 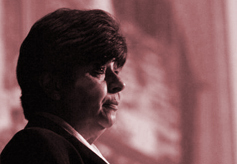 Caecilia Pieri is a scholar of architecture, urbanism, and cultural heritage. She received her PhD in history of architecture at the Ecole des Hautes Etudes en Sciences Sociales (Paris). She has travelled widely in the Middle East for 25 years. Pieri works on modern architecture and urbanism in Iraq and is currently in charge of Urban Observatory of the Middle East at the Institut français du Proche-Orient in Beirut. 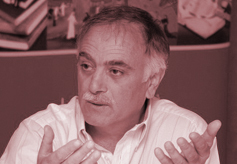 Omar Yousef (Jerusalem) is a practising architect, urbanist and professor of planning, policy and design. He has won numerous local and international design competitions for his design of the Palestinian Medical Relief head quarters in Ramallah, the Qattan Centre for the Child in Gaza and the national park on the battlefields of Gallipoli, Turkey. He is a frequent writer and speaker on Jerusalem’s architecture and planning, as well as on urban morphologies of conflict. Yousef is Associate Professor and Head of the Jerusalem Studies MA Programme at Al Quds University. أمضى خلف ثلاثة عشر عاماً من العمل في القطاع الخاص في الولايات المتحدة وفلسطين كمهندس واستشاري مشاريع، كما عمل في الحقل الأكاديمي في جامعة بيرزيت. وركّز على التنمية الاجتماعية والاقتصادية في فلسطين من خلال بحوث عديدة إضافة إلى عمله في مؤسستين فلسطينيتين رائدتين في مجال التنمية، حيث تولّى إدارة برنامج تنمية الموارد البشرية في مؤسسة التعاون في فلسطين مدة أربع سنوات، ثم قاد إطلاق مؤسسة عبد المحسن القطان العام 1998 التي أصبحت إحدى المنظمات غير الحكومية الرائدة في مجالي التربية والثقافة في فلسطين والمنطقة. خلف عضو مؤسس في عدد من المؤسسات المحلية والإقليمية، منها شركة التنمية الفنية ومنتدى المؤسسات العربية الداعمة وعضو سابق في مجلس بلدي رام الله، وعضو مجلس إدارة مؤسسة الحق حاليا. باحثة في الهندسة المعمارية، والعمران المدني، والتراث الثقافي. حصلت على شهادة الدكتوراه في تاريخ العمارة من Ecole des Hautes Etudes en sciences sociales في باريس، وقامت برحلات عديدة في مختلف أرجاء منطقة الشرق الأوسط على مدى 25 عاماً. تعمل بييري على العمارة الحديثة والعمران المدني في العراق، وتمّ تكليفها حالياً للعمل في المرصد الحضري لمنطقة الشرق الأوسط لدى The Institut français du Proche-Orient في بيروت. مهندس معماري متمرس ومتخصص في تخطيط المدن، وبروفيسور في التخطيط والسياسات والتصميم. فاز بالعديد من جوائز التصميم المحلية والعالمية عن تصميمه لمشاريع منها: المقر الرئيسي لهيئة الإغاثة الطبية الفلسطينية في رام الله، ومركز القطان للطفل في غزة، والحديقة الوطنية في ساحات المعارك في غاليبولي – تركيا. يعمل كاتباً ومحللاً في مجال التخطيط والهندسة المعمارية لمدينة القدس، ومجال التشكيل الحضري في النزاع؛ ويشغل حالياً منصب رئيس برنامج الماجستير في دراسات القدس في جامعة القدس. 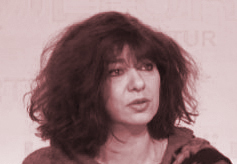 Shadia Touqan graduated with a Baccalaureate degree in Architecture in 1969 from Cairo University, obtained a Masters in Urban Design from Manchester University in 1981, and attained a PhD in Urban Development and Planning from Development Planning Unit, Bartlett School of Architecture from the University of London in 1995. Touqan worked as an architect on a number of projects in the UK, Jordan, UAE, other Arab countries and is an expert on urban development of Palestinian towns. She is the Chief Technical Advisor for USESCO in Yemen, Director of the Old City of Jerusalem Revitalisation plan since November 1997, and is an expert on cultural heritage preservation and revitalisation of historic cities with a number of international organisations such as the World Bank and UNESCO. She has published several papers and articles on the subject of the preservation of cultural heritage, and is also a winner of the Aga Khan Award for Architecture for her work in Jerusalem in 2004. Bshara is a conservation architect and anthropologist. 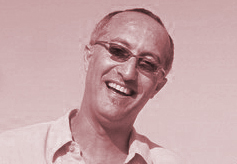 He is currently the co-director of Riwaq where he has been working since 1994. He gained his BA in Architectural Engineering from Birzeit University in 1996, and an MA in Conservation of Historic Towns and Buildings from the Catholic University of Leuven, Belgium in 2000. With special interests in space and memory, Bshara joined the graduate programme of social and cultural anthropology at the University of California, Irvine, where he obtained his MA in Anthropology in 2009 followed by his PhD in 2012. Bshara has executed many architectural design and conservation projects in Palestine. In addition, he has authored and co-authored several books and articles, including Tashgheel-Job Creation through Restoration 2001-2011 (2011), Riwaq’s Guidelines for Maintenance and Restoration of Historic Buildings in Palestine (2005), and Ramallah, Architecture and History (2002). حصلت على شهادة البكالوريوس في الهندسة المعمارية العام 1969 من جامعة القاهرة، وعلى درجة الماجستير في التصميم العمراني من جامعة مانشستر في العام 1981، وحازت على دكتوراه في التخطيط والتنمية الحضرية من كلية بارتليت للهندسة المعمارية/وحدة تخطيط المدن في جامعة لندن العام 1995. عملت طوقان مهندسة معمارية في عدد من المشاريع في المملكة المتحدة، والأردن، والإمارات العربية المتحدة، ودول عربية أخرى، وهي خبيرة في تخطيط المدن الفلسطينية. تشغل منصب المستشارة الفنية الرئيسة في منظمة الأمم المتحدة للتربية والعلم والثقافة (يونسكو) في اليمن، وتترأسّ لجنة إعمار البلدة القديمة في القدس منذ تشرين الثاني 1997 وهي خبيرة في الحفاظ على التراث الثقافي، وإحياء المدن التاريخية بالتعاون مع منظّمات دولية عدة على غرار البنك الدولي ومنظمة اليونسكو. وقد نشرت دراسات ومقالات عدة فيما يتعلّق بالمحافظة على التراث الثقافي، وحصلت على جائزة الآغا خان للعمارة لعملها في القدس في العام 2004.